The idea for an Atlanta Chapter was initiated during the Detroit Convention in July, 1988. An organizational meeting was held in September 1988 with nine persons attending. Elected officers included Joseph Isabel, Lavetta Glover-Ellis, Janice Williams, and AI Johnson. Other members included Thomas Rube Carter, Fannie Hoskins, William Jackson, Jesse Webb, Gloria Mason Webb, and Russell Lowellum. 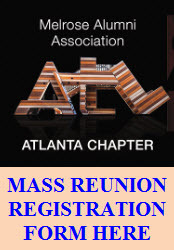 The 1990 reunion convened July 19-22 at the Westin Peachtree Plaza Hotel. 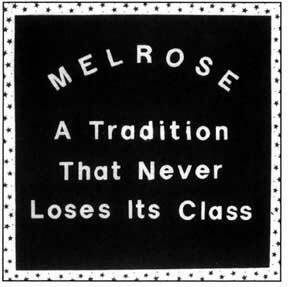 We believe that being a Melrose Golden Wildcat, cultivated in the heart of Orange Mound, one of the most historical African-American neighborhoods in the U.S., is a tradition that never loses its class. Our high school is more than a high school; it’s a life-long commitment of heart, spirit, and unwavering effort to uphold our reputation. It is our privilege to list this golden journey among the many things that we have accomplished. We are deeply connected to not only the ‘golden past’ but the present of writing a new future with the current generation. ‘We serve with pride and humility’ is a covenant, an agreement among all alumni organizations in each city. What we all share is an unwavering commitment to respecting our past and propelling our future through our connections with each other and supporting current students. Become an Atlanta Chapter Member by December 1, 2016. Join now and get 6 months of free membership. That’s 18 months for only $25.00. Hosting the Melrose MASS Reunion as we ‘Party with a Purpose’ on our designated years.